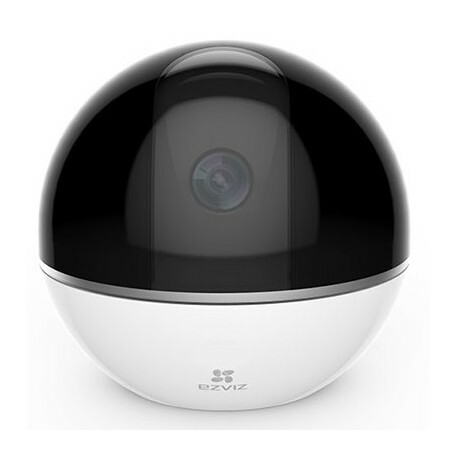 The ‘Mini 360 Plus’ is a Wi-Fi ready home camera that you can access from anywhere. It boasts crystal clear 1080p high definition video, motion sensors, night vision and more. Use your smartphone to check in on your property, children, visitors or even your pets – any time you need to see what’s happening in your home, you can. You can also activate a speaker on the camera and, using your phone, communicate through it… useful for telling the dog to get off the sofa! However, there’s a more serious side to this camera, too. You can activate ‘motion alerts’ to come to your phone when you’re not at home. The phone app will alert you that it’s detecting movement so you can check in and decide how to proceed. It’s very simple to set up; you just put the app on your phone, link the camera to your Wi-Fi, plug it in and you’re ready to go. The 360° degree camera can be activated from anywhere using the app, and you can control the angle of the lens to get a view of the entire room – wherever you’ve placed the camera. We also offer an outdoor Wi-Fi ready camera that works from the same app. We’re offering the Mini 360 for just 149€ (inc IVA) for a limited time only. If you’d like to know more, please get in touch – you can email us on sales@telitec.net, or call 965 743 473 / 902 889 070 to reserve yours. We’re happy to post products to you, or you can pop into our Moraira office if you’re nearby.